Following on from Oberon as the man at the helm of the monthly Dark Sessions show, label head honcho Chris Hampshire takes over the reins bringing his own unique brand of sonic mixed filth to the party!! 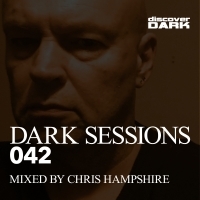 With well in excess of 200 production credits and releases to his name, Chris's career stretches back over 20 years so you can be sure that the pedigree of the Dark Sessions series is in safe hands. Featuring the darkest and moodiest cuts from around the world, each episode is accompanied with a complete digital mix together with the full length individual tracks available as downloads and across the best streaming services. Are you afraid of the dark?! You should be!